Our monthly clubs run September through May. Teen programs are for ages 12-17. Programs begin at 4 PM. 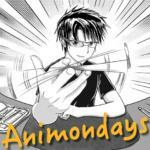 AniMonday – 2nd Monday of the month! Get your Anime on by watching, drawing, and breathing Anime and Manga! 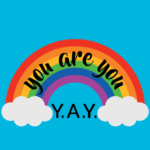 Y.A.Y – 2nd Tuesday of the month. You Are You, no matter what! Straight? Gay? Not sure? Join us for open conversation, support, laughs, and snacks. Let’s celebrate You! 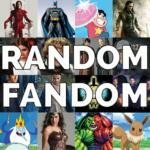 Random Fandom – On the 3rd Tuesday of the month come talk about your favorite fandoms from books, comics, TV, and movies; make fandom-related crafts; and eat fandom-themed snacks. You’re welcome to cosplay or bring fanfic or fanart you’ve created. Button Mashers – Hurry in on the 4th Tuesday of the month! Grab some friends and come play Super Smash Bros. Wii U on our big screen! You’re welcome to bring your own controller or 3DS if you want. Tween programs are for ages 9-12. Programs begin at 4:15 PM. Create – Bring your imagination on the 1st Thursday of the month. We’ll get creative through crafts, watercolor painting and a hot cocoa bar! Play – On the 3rd Thursday of the month, we’ll try out different games like board games, video games, and glow bowling!